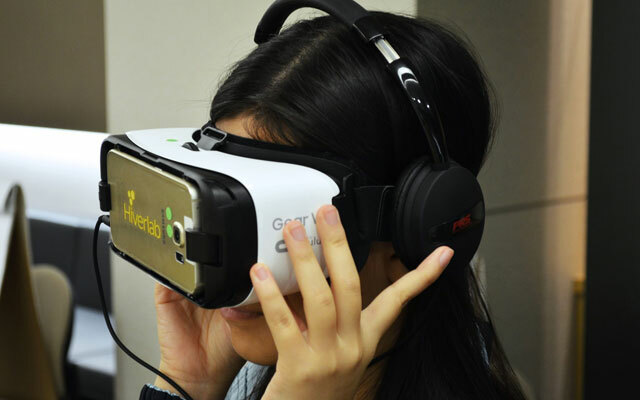 Hiverlab – a young virtual reality (VR) startup based in Singapore – in the past two years found a market for its drag-and-drop video production software in the tourism industry, and believes it is laying the groundwork for a better future in travel and beyond. The company started about four years ago as a vendor producing 3D, 360-degree videos. In more recent years, it went on to roll out a software that allows users to create their own VR content, which can then be shared privately to the personal devices of their chosen viewers, Ender Jiang, founder and chief marketing technologist of the startup, shared with TTG Asia. Today, tour operators make up about 25 per cent of the user base (300 and growing), while educational content forms the largest category. For now, tour operators and tourism suppliers can use the Storyhive platform as a sales tool, for offline public engagement events, or even during actual guided tours. “A key function of the software is it allows users to link up multiple people (in different locations). (Tour operators) can use it as a sales tool, where viewers can enjoy the virtual tour and be guided from anywhere. (Sales and marketing touch points are) no longer limited to trade show or physical agencies,” Jiang said. For larger-scale use, i.e. sharing with more than 10 viewers, monthly subscription starts from US$9 per month. The corporate licence for unlimited scale is priced at US$2,999 a year. This is typically used for presentations to bigger groups, such as at events and conferences. The goal however is to evolve the product from a software to an open library platform, which Jiang expects will happen two to three years from now. This means tour operators can use educational, conservation- or heritage-centric content on the platform to enrich the experience for participants. Indirectly, some of the content being produced today as a result of the company making VR (and 3D scanning) technology accessible could be contributing to the preservation of tourism assets for the enjoyment of future travellers. In another case of how Hiverlab is helping the sustainability cause, a San Francisco organisation has used the software in its efforts to educate on coral bleaching in the Maldives and send out conservation messages. “This is one of the largest organisations digitising corals and taking 3D scans of them. The content they created on our platform talks about corals being damaged. The scans are helpful for coral restoration efforts. “We hope to create meaningful content. Content that helps the conservation of heritage and nature conservation fall under the category… Digital media is something you can copy. But you can’t copy nature or (historical significance),” he remarked.